As far as homoeopathic physicians are concerned the study of skin diseases are very important, because skin is one of the most important site of action of our medicines. But many homeopathic doctors fail miserably resulting in severe aggravation and complications due to lack of proper knowledge about various skin disorders and many physicians from other system of medicine blaming our system on account of this. Third edition of this book by experienced teachers Dr. Ramji Gupta & Dr. R.K. Manchanda – they did much research on dermatology with homeopathy – will definitely help the practitioners of homeopathy to a great extend. The book that provides practical application of homeopathy in skin diseases. This is an improved edition in which not only the mistakes of the previous edition have been corrected but better photographs have been provided along with new additions in a good quality paper. More than 10,000 copies of the previous editions had sold in the past. A sketch diagram of the structure of the skin will facilitate better understanding and detail anatomy of skin has been added. The general principles of homeopathic treatment, details of skin structure, its functions and the approach of history taking in skin diseases in the three chapters will prove extremely useful to both the undergraduate students as well as practitioners. An appendix at the end of the text gives details of some selected homeopathic medicines with their indications, miasmatic analysis, will be useful to the practitioners at large. Dr. Ramji Gupta is Honorary Professor of Department of Dermatology at Nehru Homoeopathic Medical College, and was formally a Consultant Dermatologist at Escorts Heart Institute and Research Centre, New Delhi. He was Ex- Consultant at AIIMS (All India Institute of Medical Sciences) and Holy Family Hospital as a skin specialist. Other books written by him are Multiple Choice Questions in Dermatology and Venerology (3rd edition), Illustrated Textbook of Dermatology (3rd edition) and ‘Skin and Hair’ in health and disease, Some truth, Some myth. He has published more than 50 research papers in various journals. His contribution to modern medicine in the form of dexamethasone – cyclophosphamide pulse therapy (D.C.P.) has proved curative in the treatment of Pemphigus and other auto-immune disorders. This has been recognized at national and international levels. Dr. R.K. Manchanda is a Deputy Director General in CCRH Government of India and a promising, enthusiastic worker. 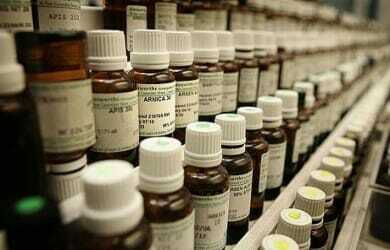 He has a scientific attitude towards homoeopathy. He has published many research papers in national and international journals. He has special interest in therapeutics of skin diseases. He teaches at Nehru Homoeopathic Medical College and Dr. B.R. Sur Homoeopathic Medical College, New Delhi. This book is very useful in daily practice. its helps me a lot. I strongly recommend this valuable book to every one………….. I myself have explored this book & found it very useful. Really with amazing pictures & simple language the book is a treasure to every aspiring Homoeopath. Congrats for Similima team to advertise this nice book. I strongly recommend this valuable book to every one………….. The book should be kept with all homoeopaths since it guides the name of skin diseases with proper definition and actual snap in actual color. If Herpes of psoriasis is in the picture, one can see its depth and contours.